Valentine’s day is always a super cold day in Michigan but I still like to take the night to go out to dinner with my hubby. That said, I like to keep it easy yet trendy since the walk from outside to inside is pretty brutal this time of year. Below are a few of my favs! 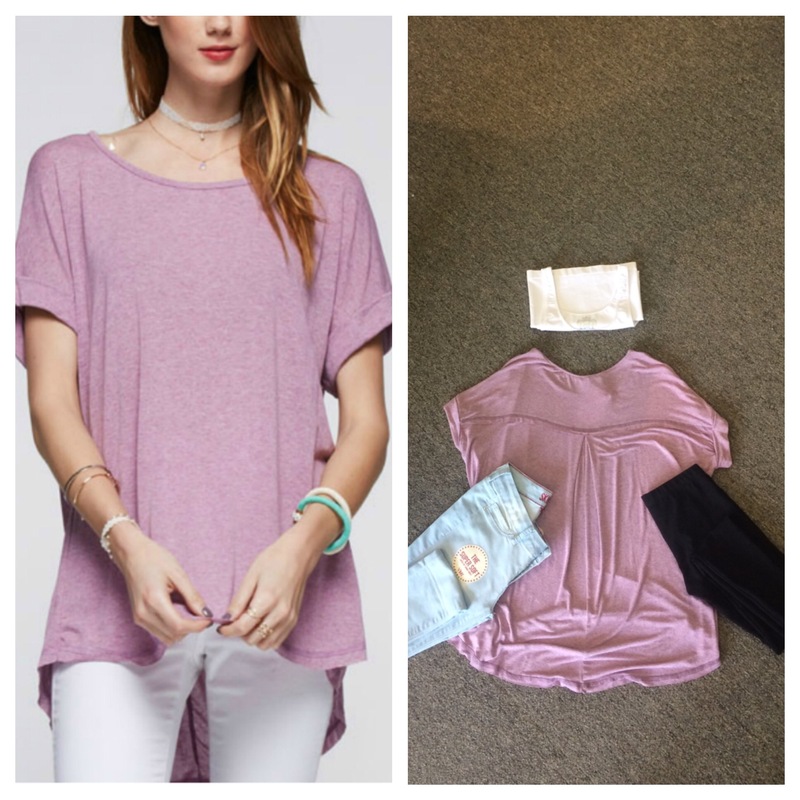 We have a new line of fun legging, boyfriend flying monkey jeans and printed pants along with flattering tunics and chiffon tops. Check out poshnovi.com to grab your date night outfits! Hello Posh Dolls! Today I am so excited to share with you the fun that my family had eating, shopping, and exploring Mackinac Island, St. Ignace, and Tahquamenon Falls. I am so excited that I got the opportunity to blog this as a posh doll and tell you about the experience my family and friends had. I hope that some day soon you can experience them as well. If you are from out of state and need a reason to visit Michigan these are surely reasons to come. (Most of my outfits you can get from posh. My name is Darby, I am 19 years old, and I am an employee/model for Posh boutique. I share a love of fashion and taking photos, along with the owner Melissa, and we thought this would be a perfect opportunity to share with our Posh Dolls the perfect vacation in Michigan. 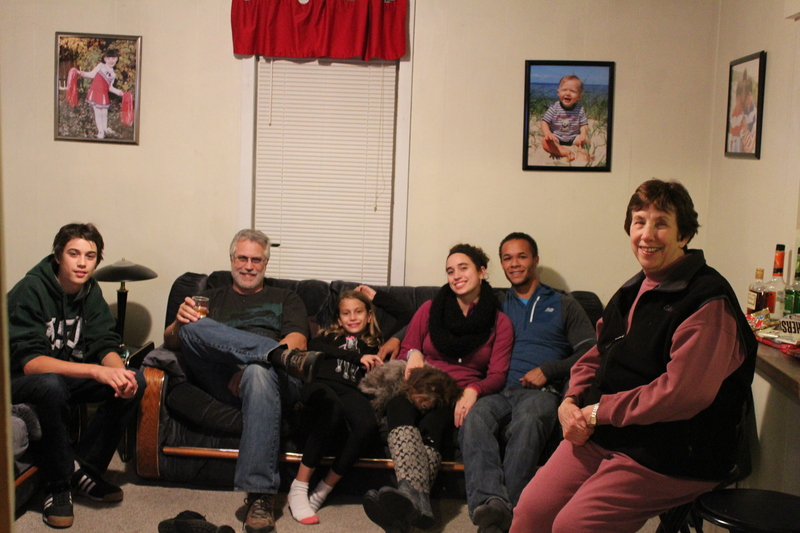 My family is from Michigan, but this was special occasion for us because a week previous my sister turned 21. We decided to take this trip to help her celebrate. There were many places to go and we tried to hit every one of them. 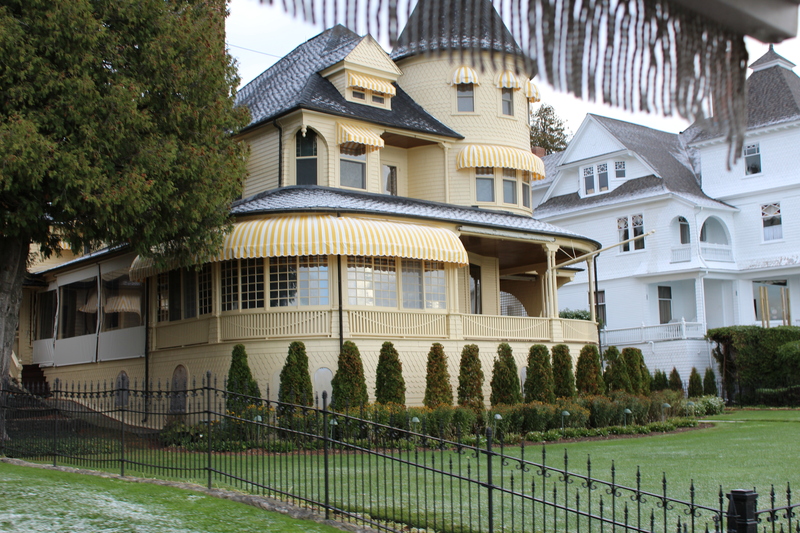 Mackinac Island is not only known for their amazing fudge, but also for the Michigan history it holds. 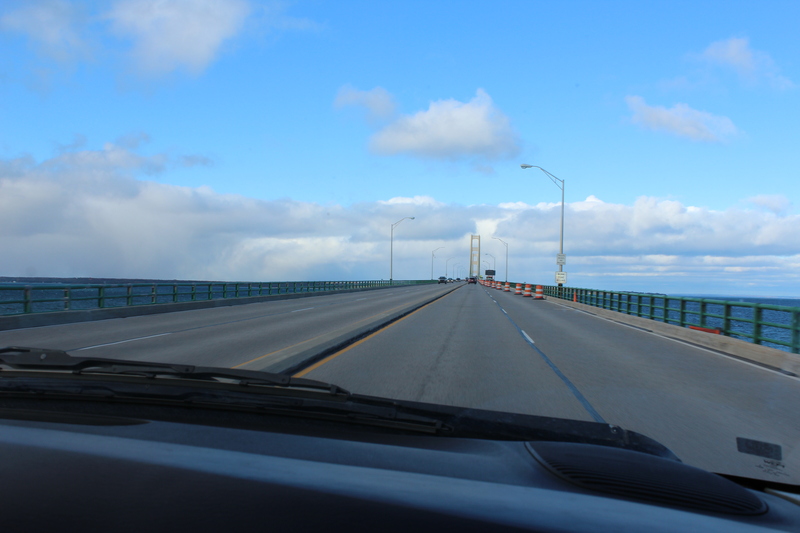 The Mackinac Bridge – In order to get to the ferry or the plane that takes you to the island you have to cross the iconic Mackinac Bridge. From the bridge you can see the island and the beautiful Lake Michigan and Lake Huron. 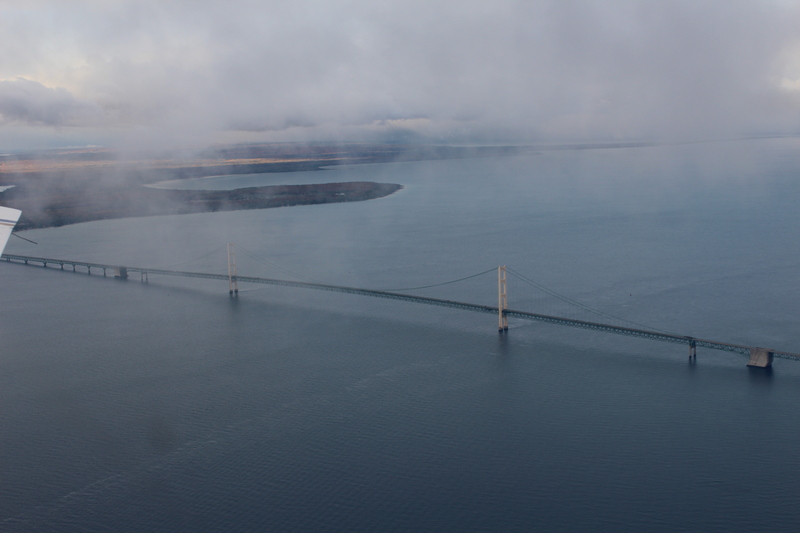 As you continue to cross the bridge you can choose to go to St. Ignace or keep going North. 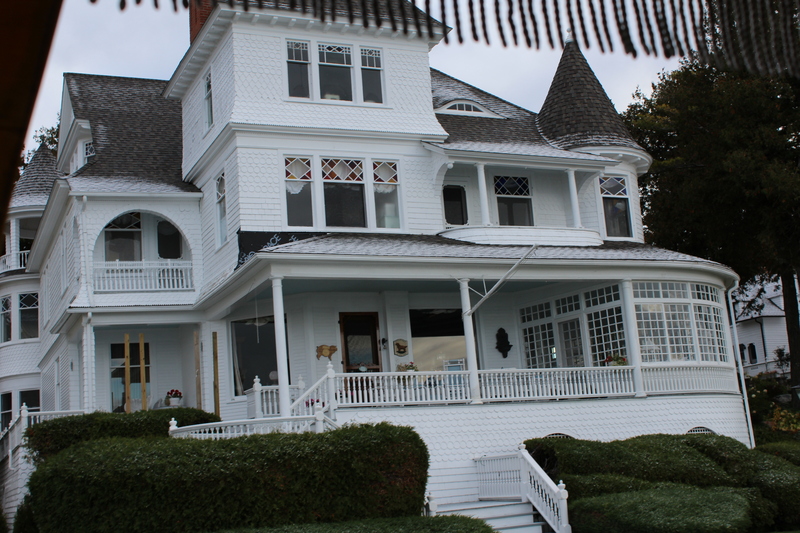 We stayed at a house in St. Ignace, so we had to take the route to St. Ignace. 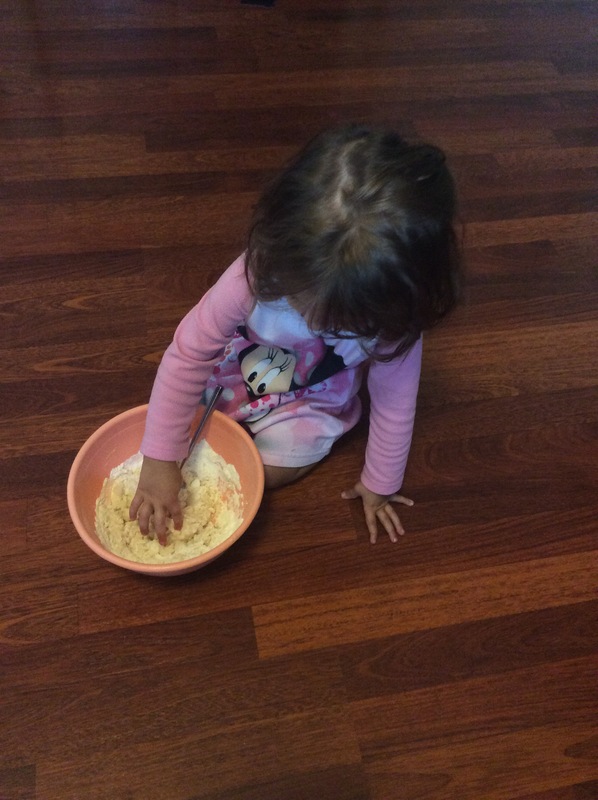 The Love Shack – My mom is always the one who finds the places that we stay. 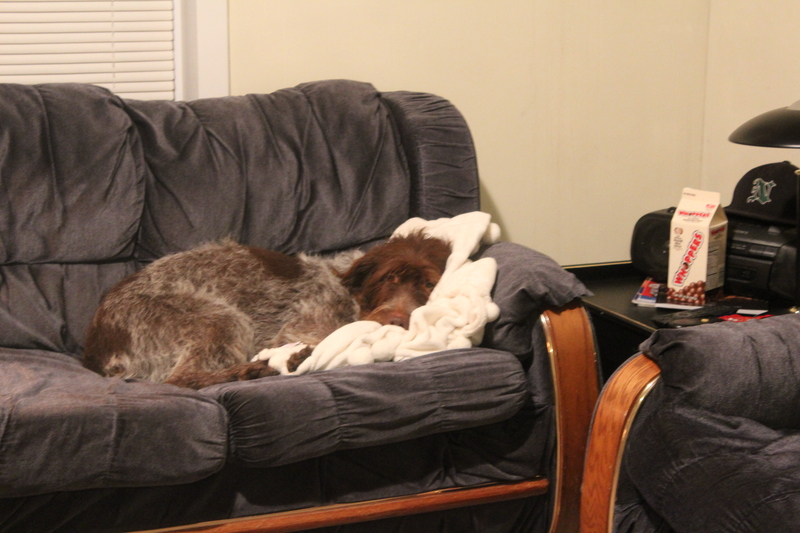 She picked the house that could sleep the most because my family is big. In the photo above we are missing my mom, me, and three more close family friends who were joining us on the trip as well. The house that my mom booked was called The Love Shack. It ran around $100 a night not including the fee per dog. We only brought our little pup Niki to keep my grandma company when we went to the Island. The Love Shack had a total of five bedrooms, but slept six. 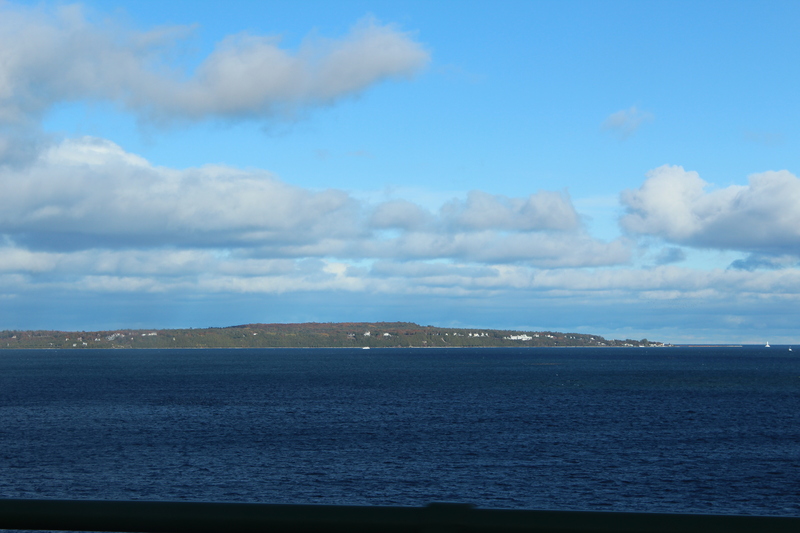 It was right by the water in the town of St. Ignace. We got to the house that evening so we decided to go for dinner then watch the hockey game. 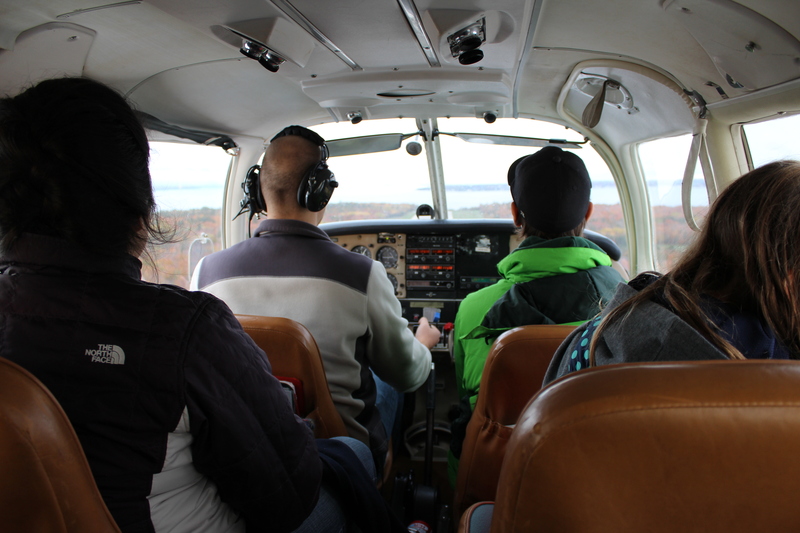 The Flight to the island – My family, being the adventurers we are, took the small five passenger planes over to the island. They fly you by the bridge and to the island. The view with all the fall colors and the calmness of the water on that day was breathe taking. We picked the weekend of peak coloring for that reason, even though the weather was a little bit chilly. When you first see the plane you immediately think of the planes you see on movies and it doesn’t usually end well, but when it gets going it is not even close to that. The view is breath taking and you could not experience that any other way. 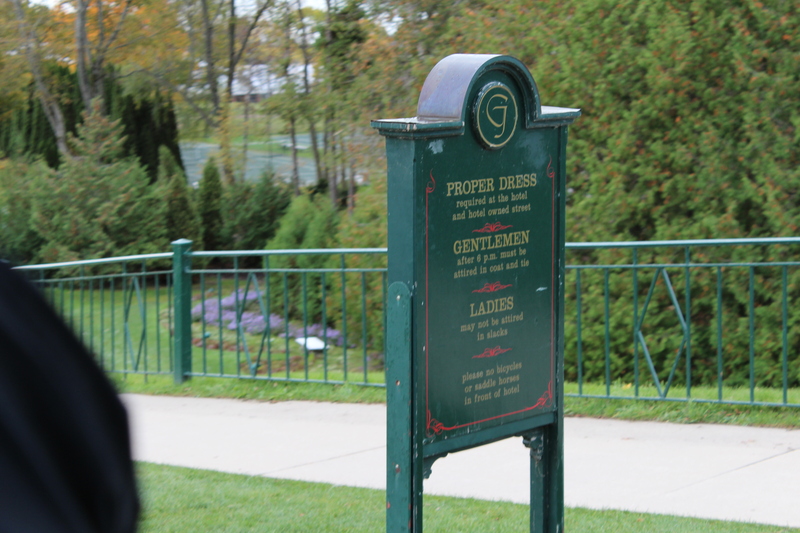 This certainly is a must the next time you venture to Mackinac Island. You do have to make a reservation for the time that you fly. It costs $50 for an adult ticket and $35 for children. 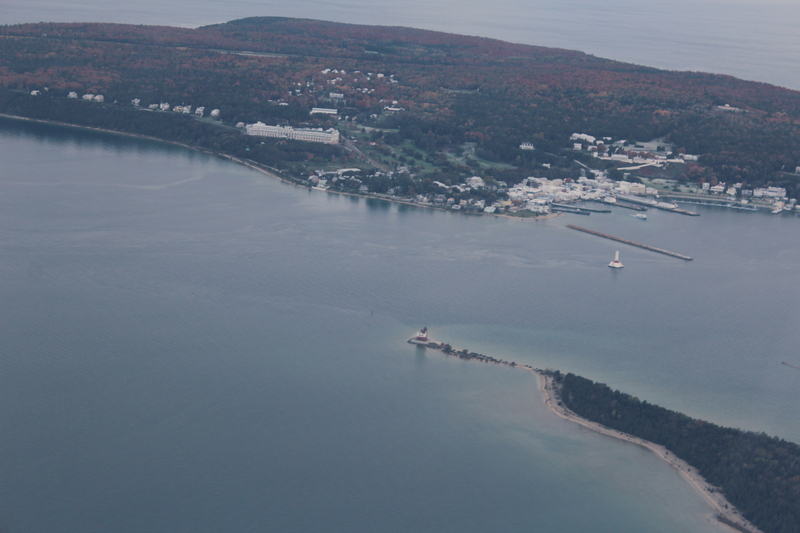 We traveled in two planes since we had 10 people going to Mackinac Island and when they came we called the taxi. 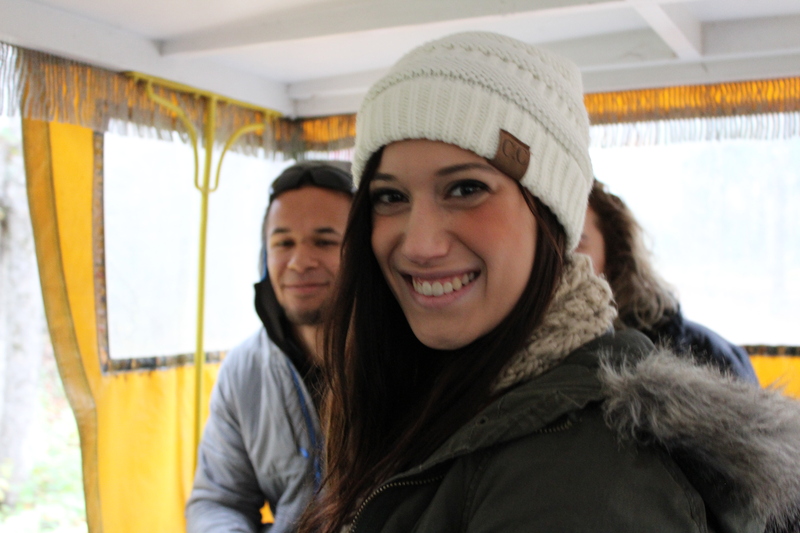 The Mackinac Island Taxi – When you think of a taxi you think of the yellow taxis in New York right? 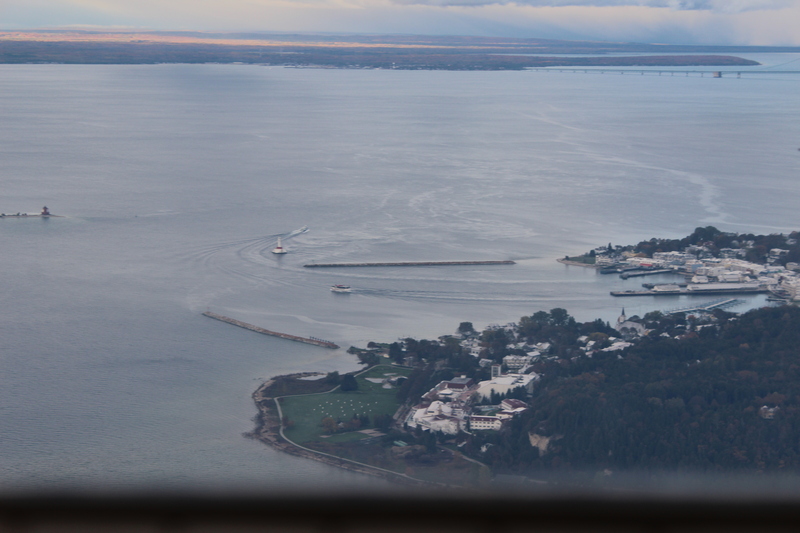 On Mackinac there are no such thing. Since car and motor vehicles are not allowed on the island the only mode of transportation is by a horse, walking, or a bike. We went the walking and the horse route. Our taxi driver was born and raised on the island, but no longer stays there for the winters. While riding in our taxi we got to see some amazing houses owned by the islanders. As we just passed these we came to the grand hotel. You can see the Grand Hotel from the bridge and the plane as this big white building. 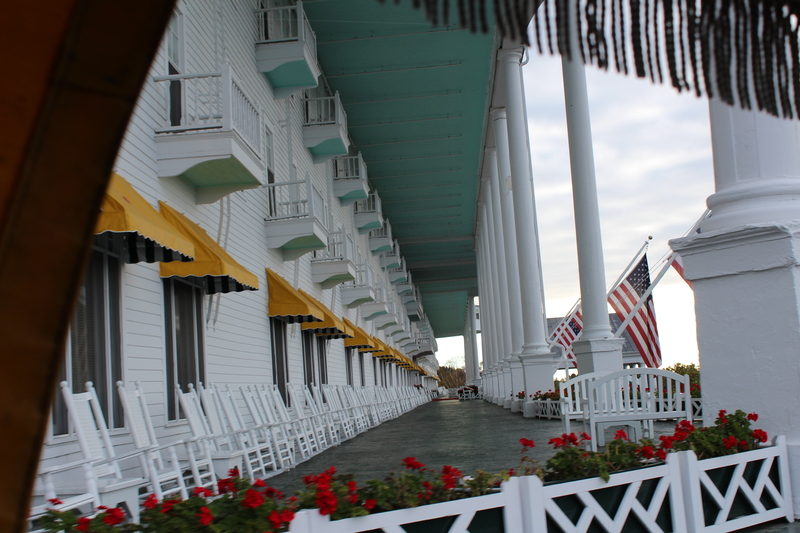 The Grand Hotel – The Grand Hotel is one of the oldest kept traditions, next to the no vehicles, on the island. They have a strict dress code for men and women staying in the hotel. Ladies have to dress in a dress or a skirt, no slacks. Men have to wear a coat and tie at all hours after 6:00pm. 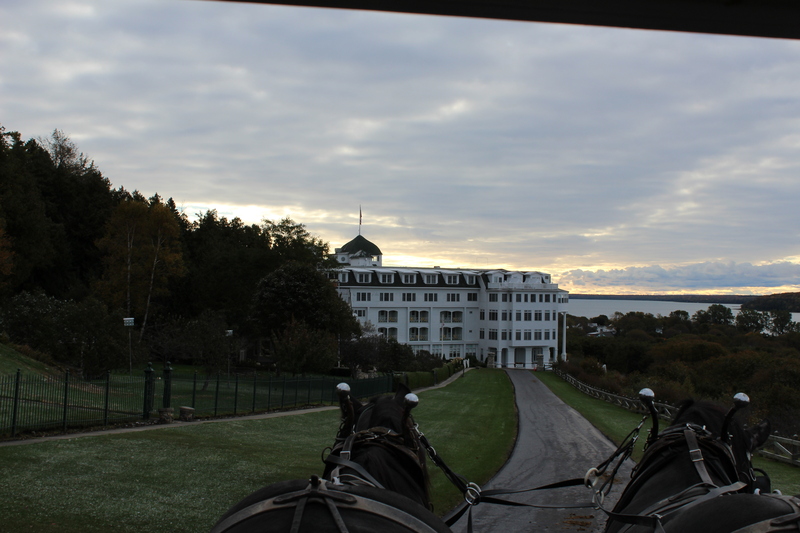 If you want to get the full experience of Mackinac Island then staying in the Grand Hotel is the way to go. For a category 3 room during the weekend for a double it is $451.00 per person, per night, for a single it is $827.00 per night. Depending on the time of year will depend on the availability of the rooms as well. Seeing as we went to the Island in the morning when we got there we were all hungry and wanted some coffee to warm up. For coffee we stopped at Starbucks, of course. When we got our coffee we decided to go to the pancake house for some breakfast. The Pancake House only serves breakfast and is only open in the morning. After we had our coffee we decided to do some shopping before going horse back riding. The Shopping – If there was one thing that they had it was shops. Shops that had so many things. They had t-shirts, homemade gifts, candles, eagle wine bottle holders, and a lot more. 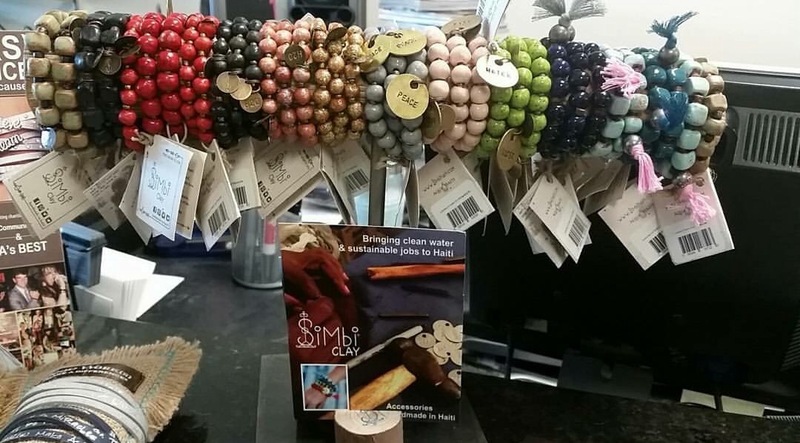 A lot of the shops have the same things in them when it comes to clothing but when it comes to the little keepsakes you can find different things in every store. When we were done shopping it was time to go horse back riding. Horse Back Riding – For the horse back riding you have to be 10 years or older. Because my little sister was not old enough my parents rented a carriage for her, my dad, and my mom. My sister Jenna, her boyfriend Shawn, our family friend Coral, her boyfriend Alex, my younger brother Joseph, my best friend Lidya, and I went on our own horses. To rent a horse it is $45. You do not have to be an experienced horse back rider to ride the horses. They all have a great temper and are very easy to control. We also had a guide with us and if the horses acted up he was there to help. 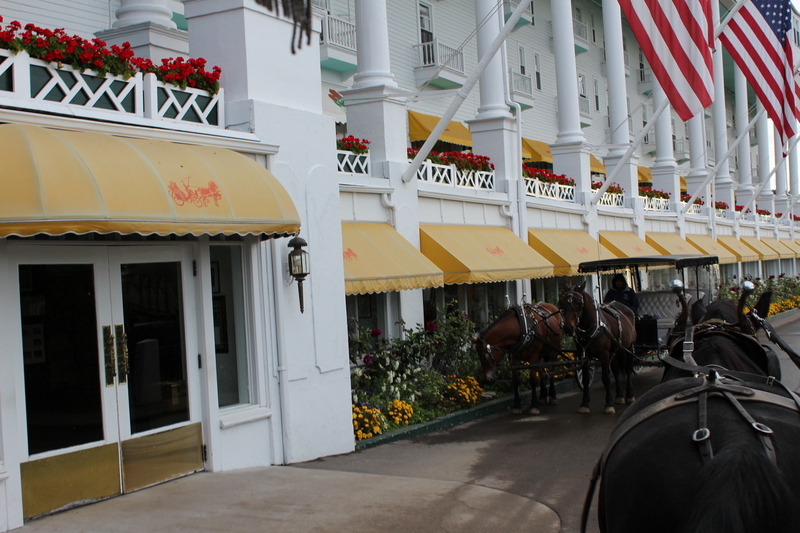 I would put this on the must list when coming to Mackinac Island as well because they take you on the horses where, as a tourist, you wouldn’t normally go. After that it was time for dinner. We ended up eating at the Mission Point Resort. Mission Point Resort -At Mission Point you can eat there, stay there, or do both. They host weddings and events, but in our case we were just there to eat and warm up. It was also a great place to sit and relax while we watched the Michigan, Michigan State game. While we were there it starting snowing as the sun was out. It was beautiful to see inside by a warm fire with my hot chocolate. When ordering the food we expected small, semi-normal portions, but to our surprise they were really big portions. So if you are looking for a good meal with a bang for your buck this is the place to go. Make sure you make a reservation depending on the time you go because it can get pretty busy. 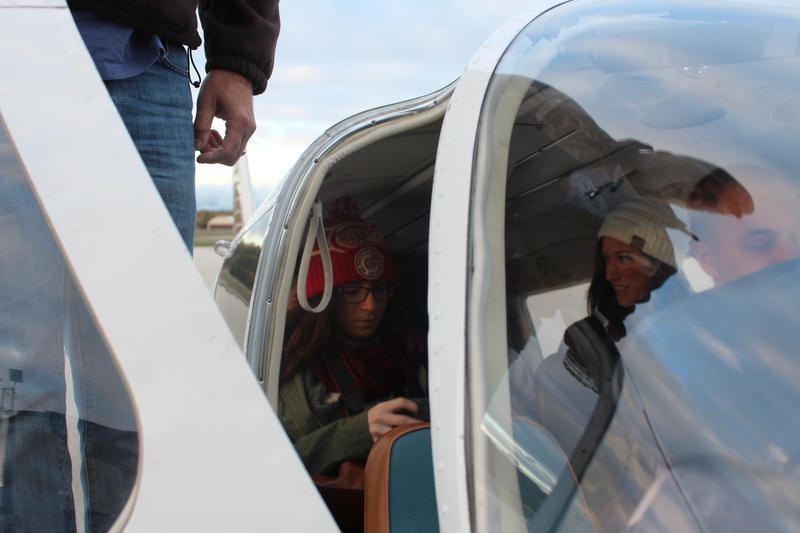 After we got done with dinner we took the fairy back to St. Ignace. When we got back we were so tired we watched a movie, played some board games, and went to bed. The next day we visited Tahquamenon Falls and the Ship Wreck Museum. This was not in our original travel itinerary, but we thought it would be a great stop in the fall, which it was. The Lower Falls – There are two falls, the lower falls and the upper falls. First you will come to the lower falls. The most amazing part of these is where they are located, the coloring during this time was amazing and adding the sound and site it is a must when you are traveling up that way. Even if you did not originally plan on going you should include in the trip. If you drive five minutes up the road you will arrive at the upper falls. The Upper Falls – The upper falls just proved how amazing mother nature can truly be. You do have to climb stairs that can be wet, so in my grandmas case, and some others, staying at the benches at the top and just seeing pictures is a safer way to go. If you can see it I highly recommend it. The pictures just can’t do it justice. After we saw the falls we headed up the road about 15 minutes to Shipwreck Museum. This is wear the Edmund Fitzgerald ships original bell is located at. It was a good place to go to get a history lesson and see some more history of Michigan. Overall this was a great trip and if you ever get the chance to go you will not regret it. 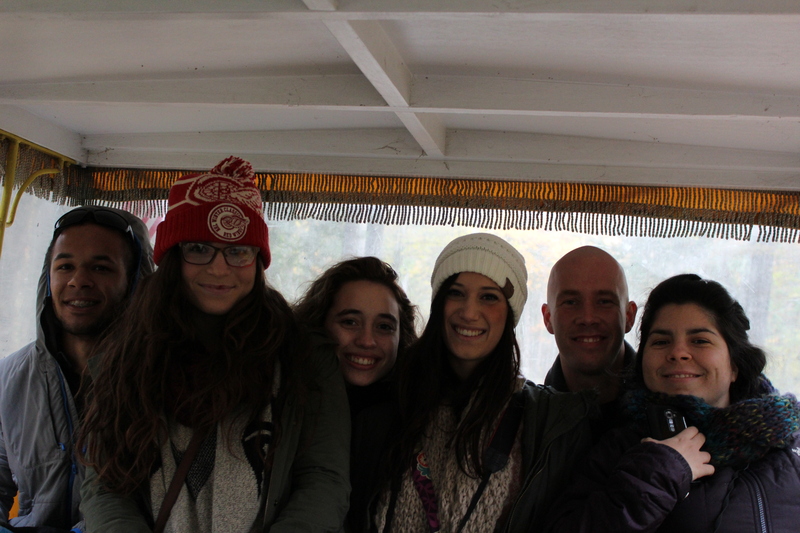 Taking a big group was definitely a lot of fun, but it would be just as fun with a smaller group of people. Getting to spend time with family and friends and learn so much about the beauty in Michigan is worth your while. Thank you for letting me share this trip with you, I hope you enjoyed reading about it. If you like any of the articles of clothing I was wearing visit poshnovi.com or come see we are located at 14 mile and Novi road. We would love to see you come in. Some of the items that were pictured we still have, others we do not, but we carry the similar styles. 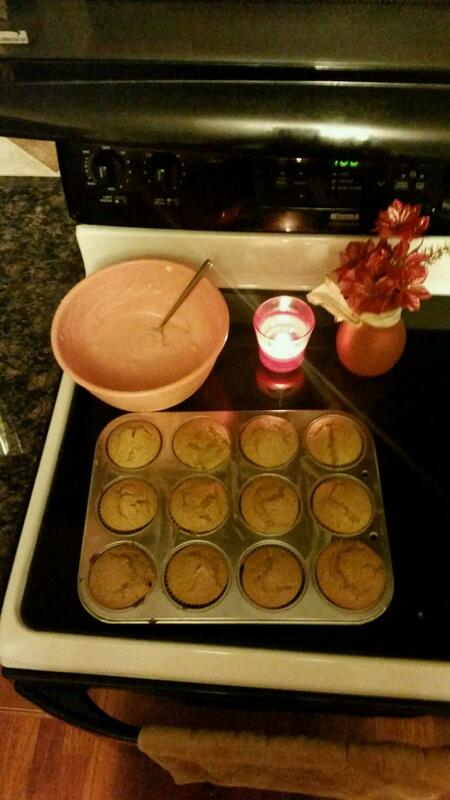 Tis the season for homemade gifts from the kids. This is a craft that my kids and I did for my husband’s birthday. The reason is because my husband likes to just pick out his own gifts but he loves to get homemade “cool” gifts from our kids. 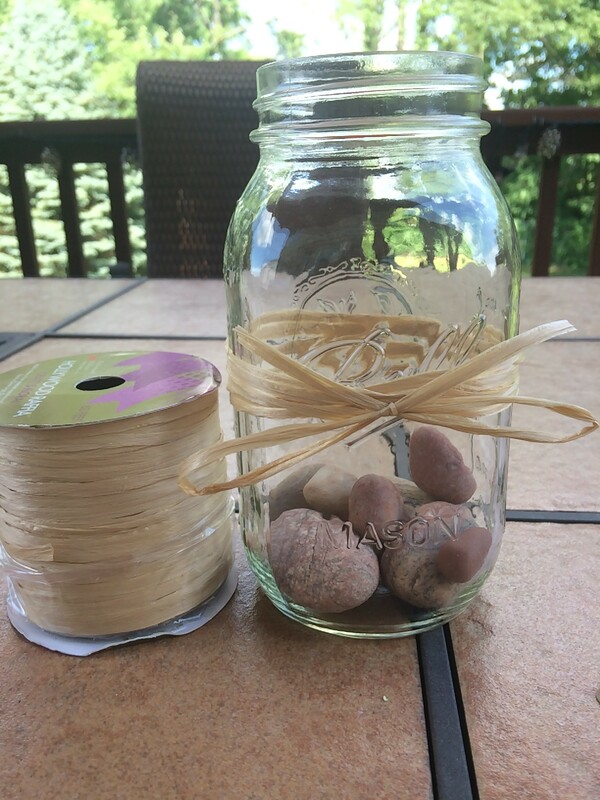 This means, mommy (me) has to come up with this super cool idea, grab all the materials and sit down to make them with our kids. This is a lot of pressure haha. 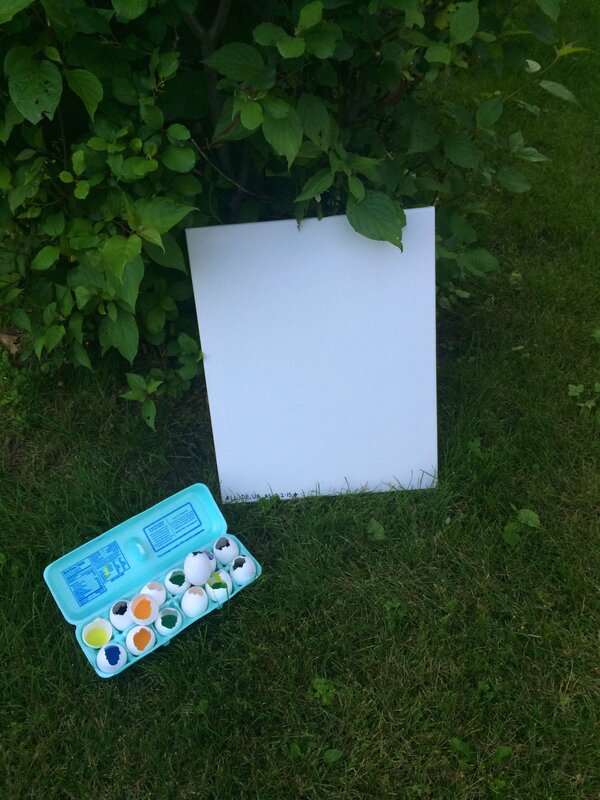 I love doing projects with our kids but coming up with cute ideas that are realistic can be a challenge. My son’s idea was, “mom lets buy daddy a bulldog because Bulldogs are his favorite.” We have two cats already so that is not happening. 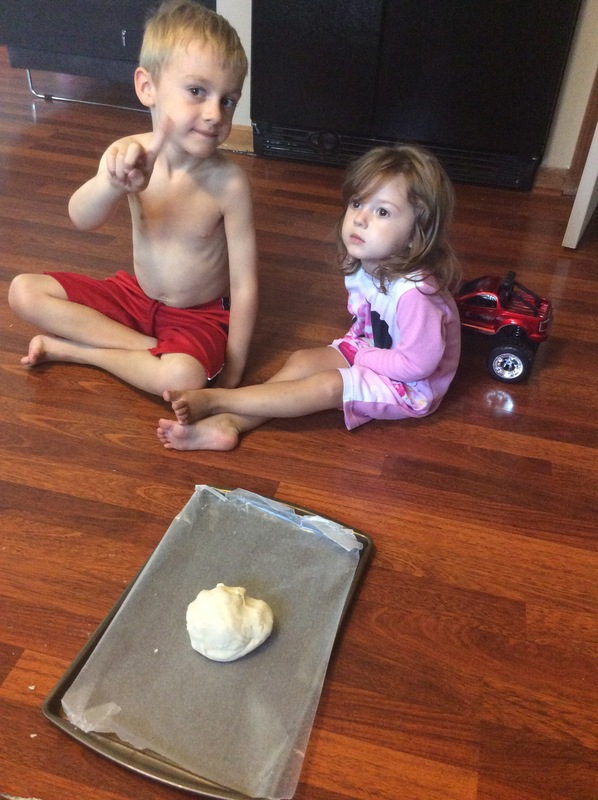 Surfing for ideas I decided on a salt dough project. 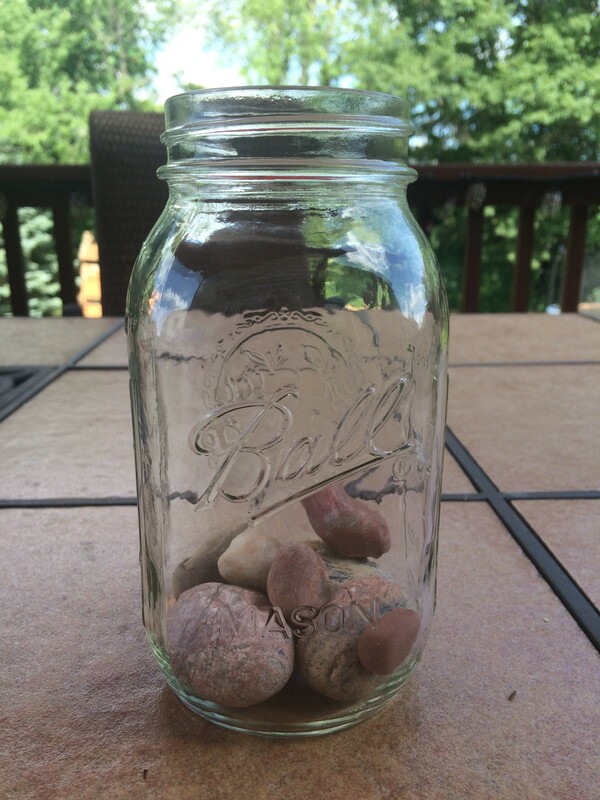 This is a really cute keepsake and is also really fun for my toddler and kindergartener to do together. 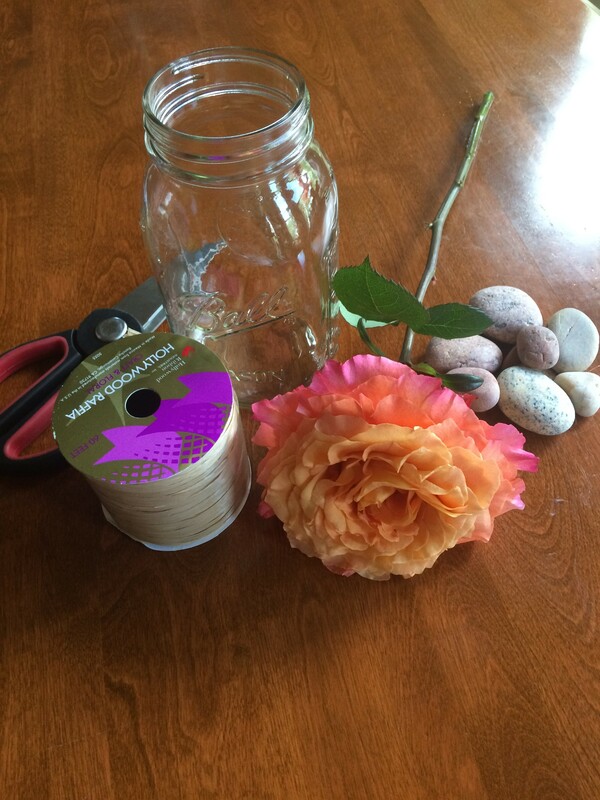 This is a great gift for any time because it is easy and thoughtful. 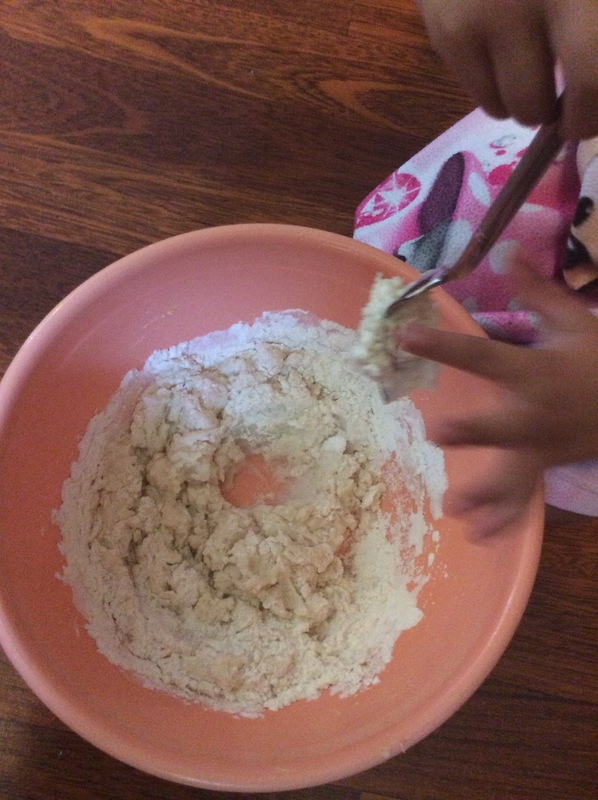 Place the water, salt and flour together in a bowl and mix up with fork. I had my 2-year old daughter help me with this part, well until she started trying to eat it. Lol. If it’s sticky start to add a little more flour until you can roll it into a ball and it’s the consistency of plays-doh. 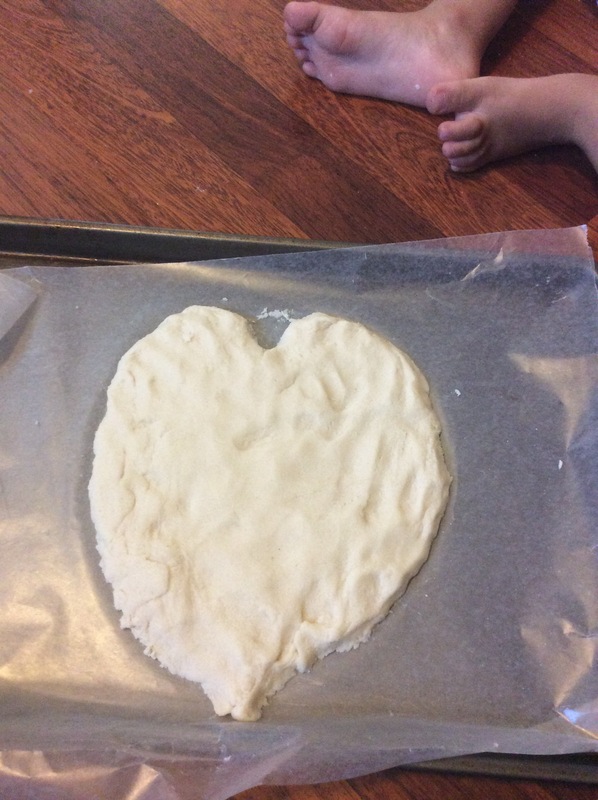 After I rolled it out onto a piece of wax paper that I placed on a baking sheet and did my best to form it into a heart. 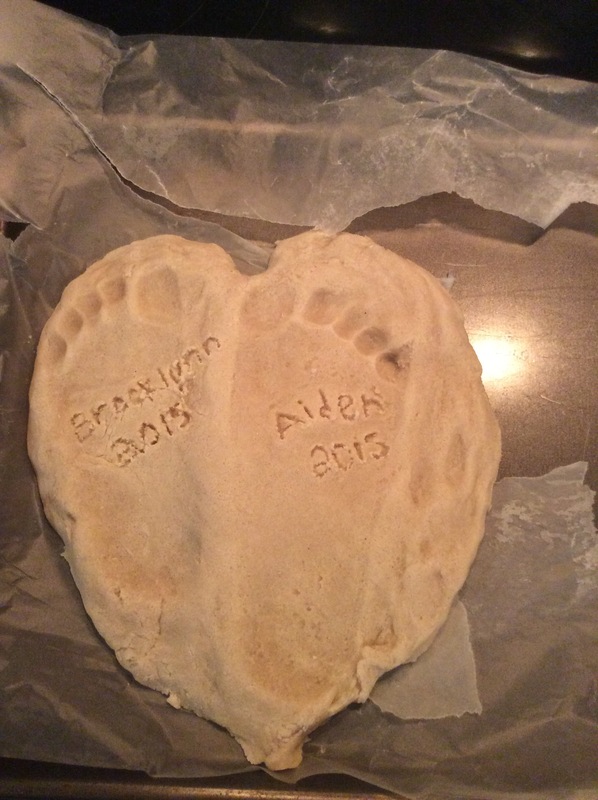 I placed each child’s foot into the mold to create their foot prints. Then with the tooth pick I carved out each of their names and added the year. 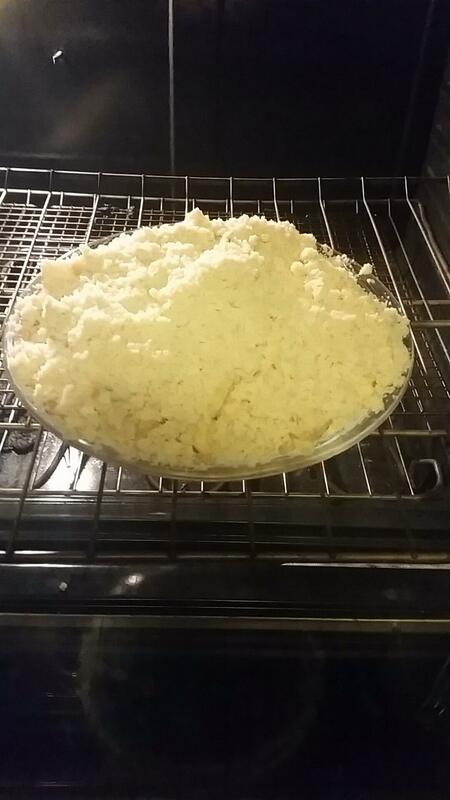 I baked it at 200 degrees for 3 hours. 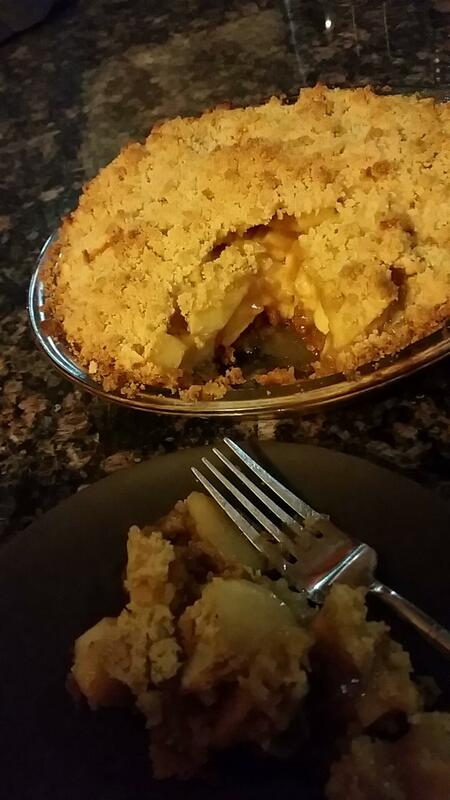 After I let it cool for a couple of hours. 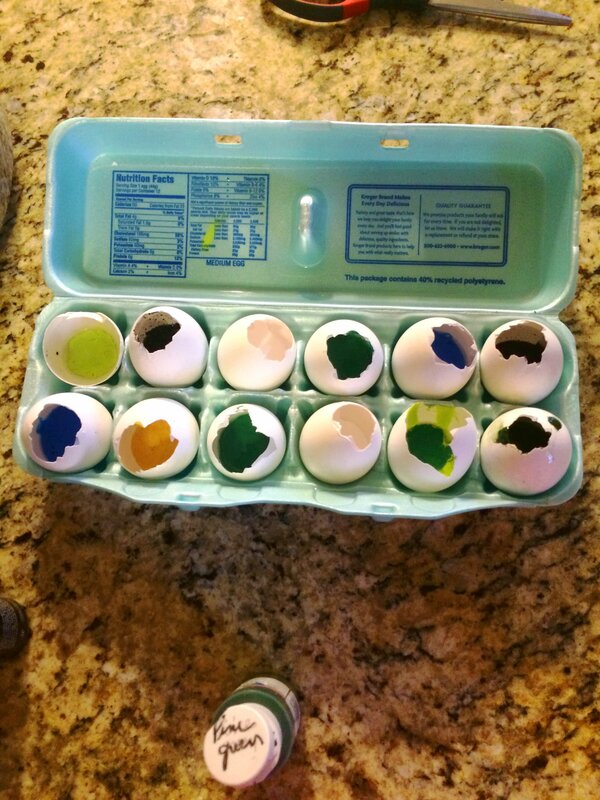 After it fully cooled,I let the kids go to town decorating and painting it. They each put their own personal touch on the gift. Voila! 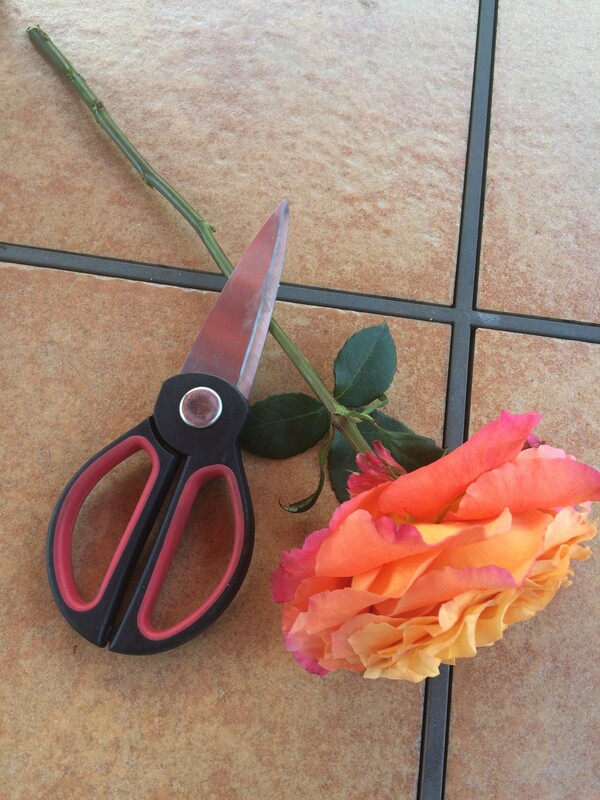 A creative and homemade keepsake my hubby can enjoy! I was able to spend a little time with the kids making it and they had a blast putting their own creativity into their project. Yes, they did do quite a bit of fighting through the painting process but that’s what creates the memories, right? With the weather getting colder and the new fall colors appearing all over, there comes a time when you need to get a handbag to match. 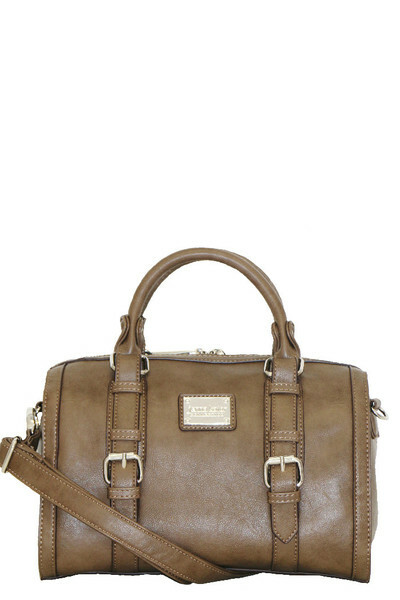 When Posh starting carrying the Jenna Kator handbag line we all instantly fell in love. 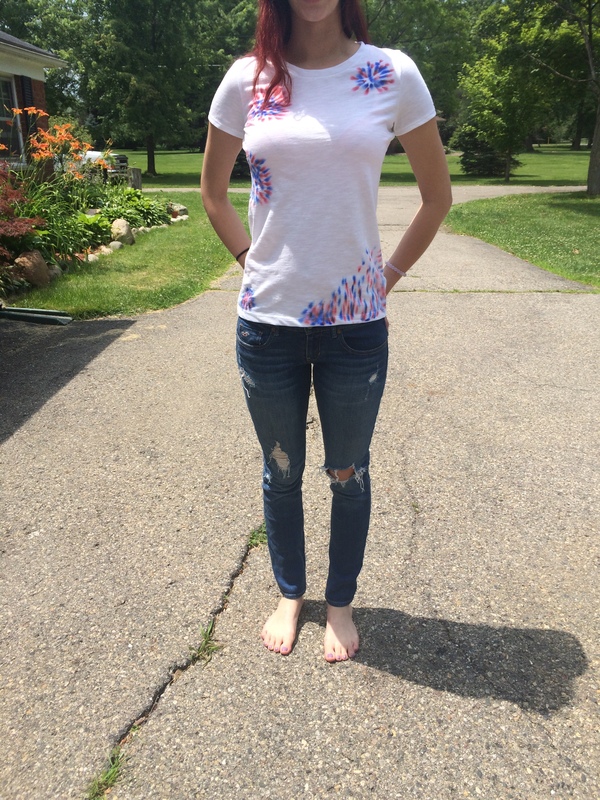 Jenna Kator is a local designer from Livonia, Michigan and we are an exclusive retailer in the area. 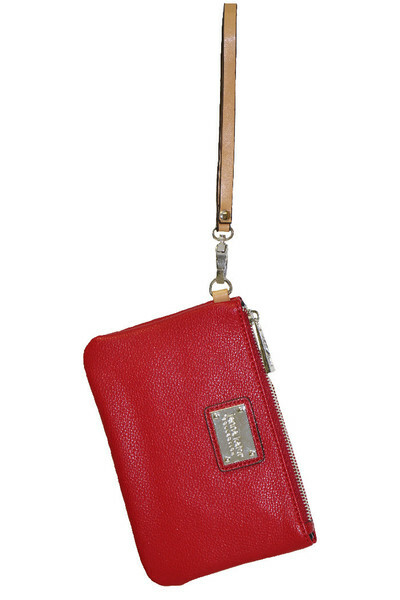 Jenna names and designs all her handbags, wristlets, cross body bags, and wallets after places in Michigan. She also uses a vegan leather. 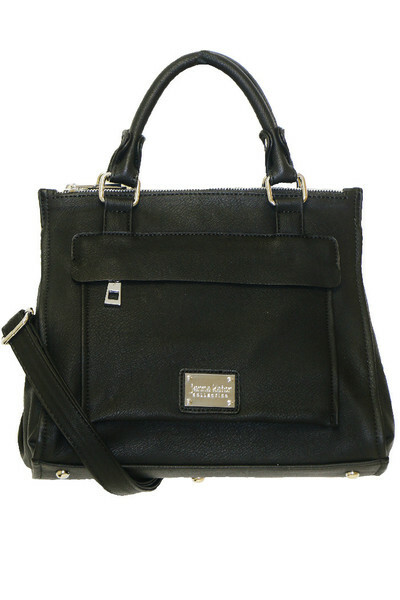 Vegan leather goes through a higher processing than a fake leather, but it does not use animal products. Each bag comes with a dust bag to store it in when you are not using it so that it stays nice and clean. With Jenna having so many options with her bags including the designs and colors there isn’t enough time to talk about all of them. We are so excited to announce this fall line. We hope you enjoy it as much as we do. We have had such a great turn out so far that we are placing a re-order for the line. 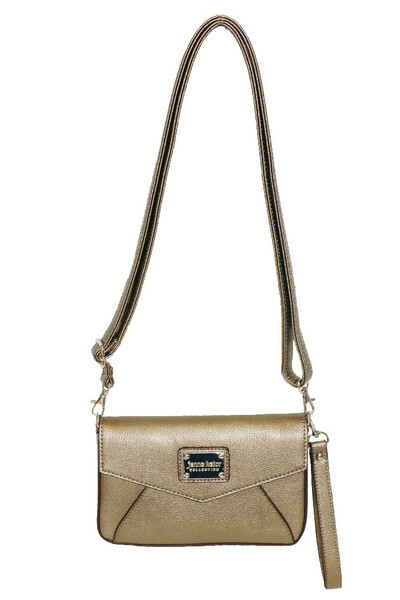 Check out our website for all of the new handbags. With so much variety you are sure to fall in love. We are only down to six bracelets left but don’t worry we have just reordered more because these were such a popular trend and they are super cute together or just one of them. 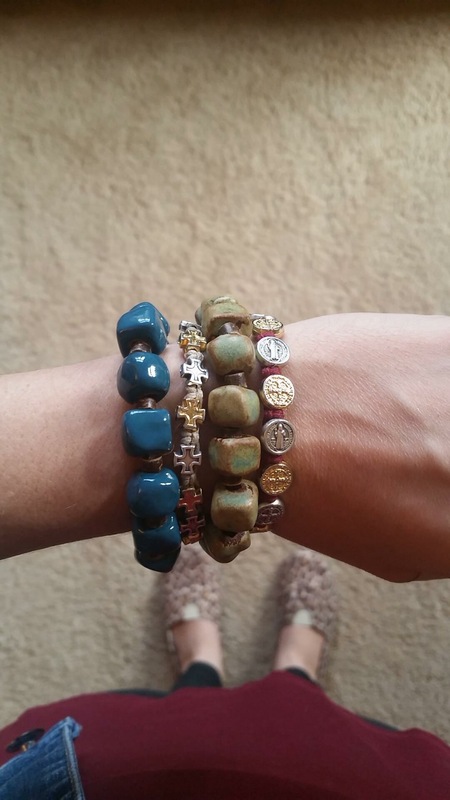 My boss Melissa wears her stacked with our blessing bracelets as shown in the picture directly above. So cute! I will be keeping you updated on all of the fun, exciting, and new trends, styles, and more from Posh. 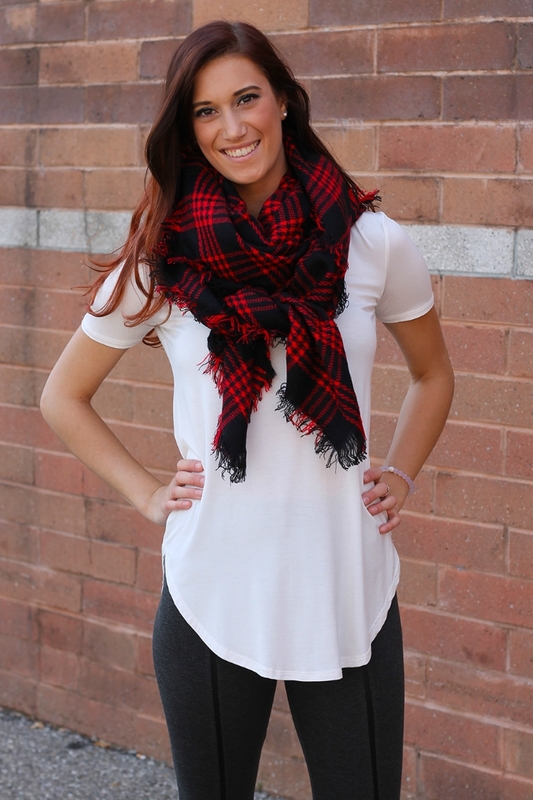 The plaid blanket scarves are a huge trend this fall! For many, this is fun yet a confusing trend. It looks so cute on everyone else but when you pick up this gigantic scarf all you think is, now how the heck do I put this on? Many of you may also feel this scarf is overwhelming or too large for you to wear. Posh is here to help! Today I am going to show a great way to tie the blanket scarf so it is just the right size. Grab the scarf by each corner and hold it up. 2. Now drop one side of the scarf and slide both hands so you are holding the scarf in front of you like the photo below. 3. Hold the scarf up to your neck and wrap it around once loosely and let each side hang down in front of you. 4. Now take the two ends and cross them under each other and through the loop like you are tying a shoelace. 5. Pull each end so they are even and flat. Loosen the scarf around your neck a bit and voila! 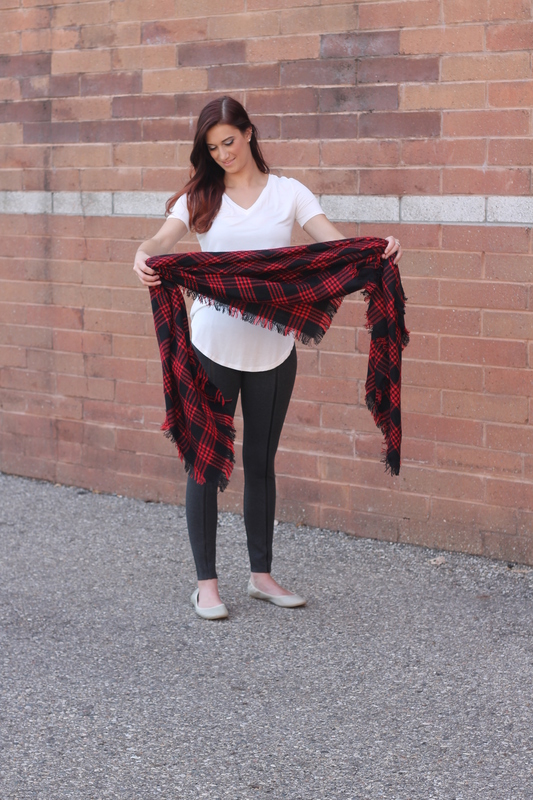 The perfect trendy way to wear a blanket scarf! Doesn’t this make you want a gorgeous blanket scarf? We have three different colors on our website right now. Click the images below to buy one! After traveling it can be so hard to get back on track with healthy eating and work outs. I felt that pain this morning when I started a new 21 day fix challenge which included sending a photo of myself as a starting point for the challenge. That was brutal but with weekly photo submissions, it will help keep me motivated without the risk of cheating. 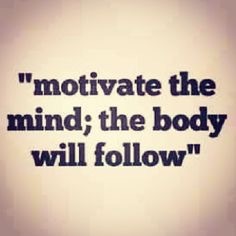 As the summer really comes into full swing, I am guessing many of you are having a hard time keeping your health motivation. 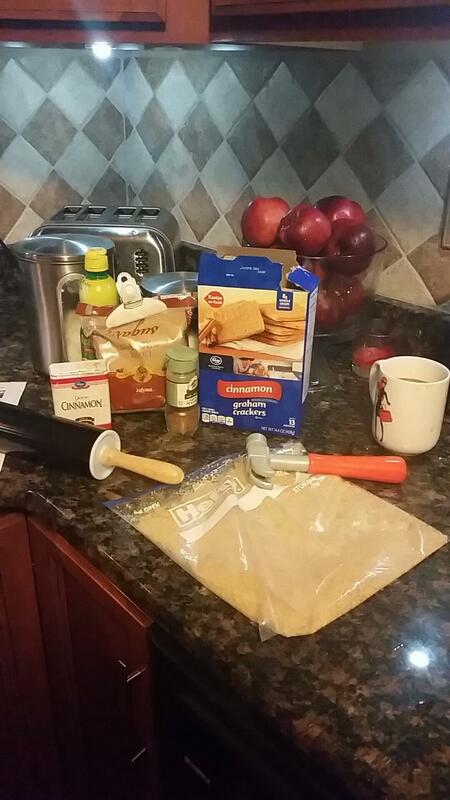 Yesterday morning I made a point to sit down and set my meal plan for the week before hitting the grocery store. Now, I am fully prepared for a busy week. I seriously feel that meal planning is critical since when I am given full rein to pick what I want to eat when I am starving, it always ends in me pounding down a massive amount of carbs. 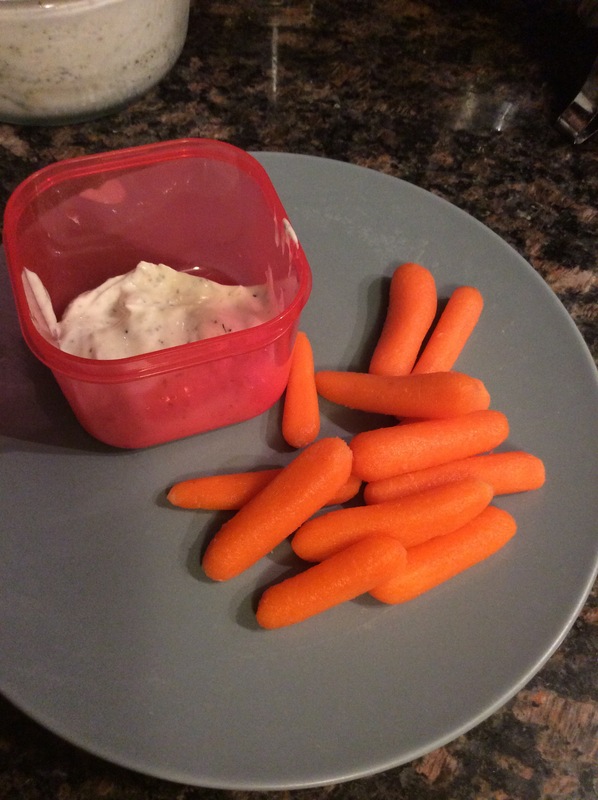 I wanted to share a great Greek yogurt ranch recipe that I brought into my meal planning today. 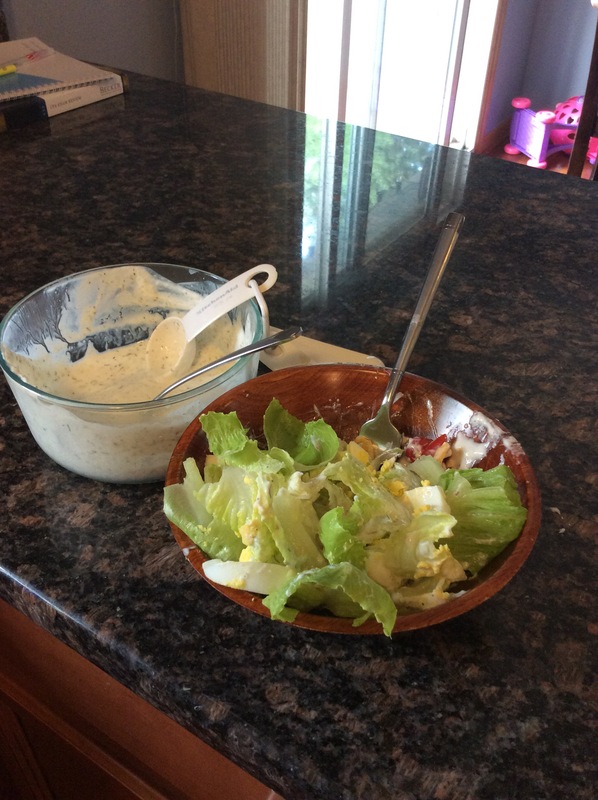 I love salad but I am also NEED to douse my salad in ranch. 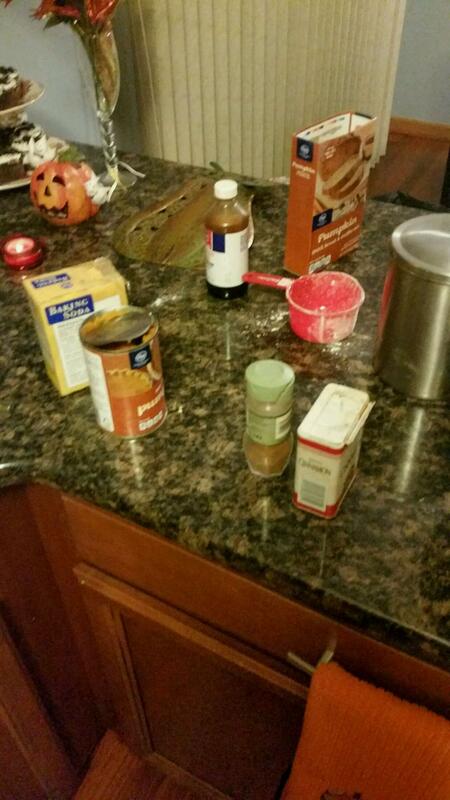 That is not exactly 21 day fix approved. 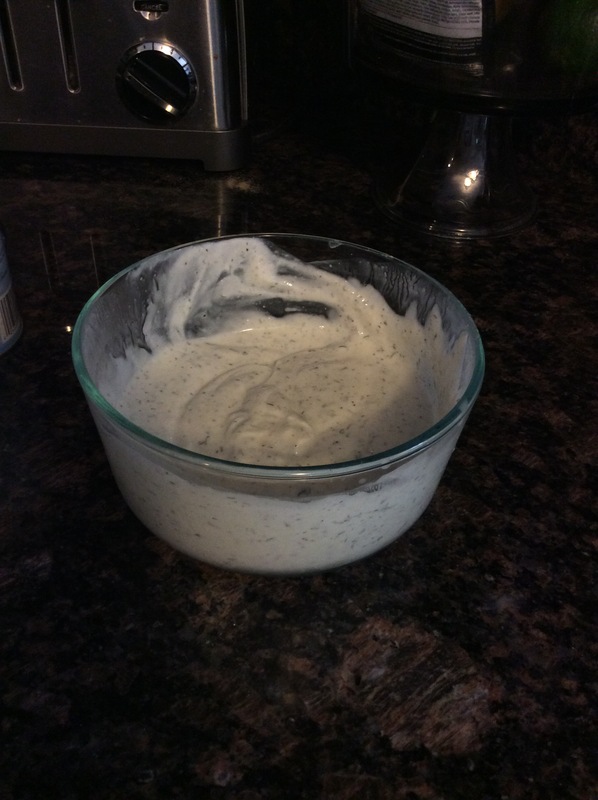 So below is a really good homemade ranch recipe I stumbled across that goes a long way. 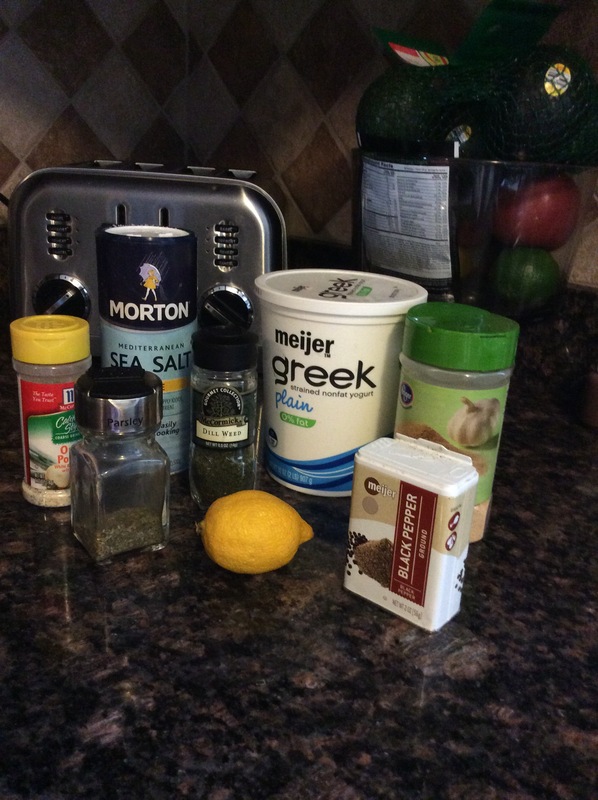 You may think that taking a cup of Greek yogurt and adding a packet of ranch seasoning is the easiest route but I have read the ranch packets are loaded with MSG so I decided adding my own seasonings is the better choice. 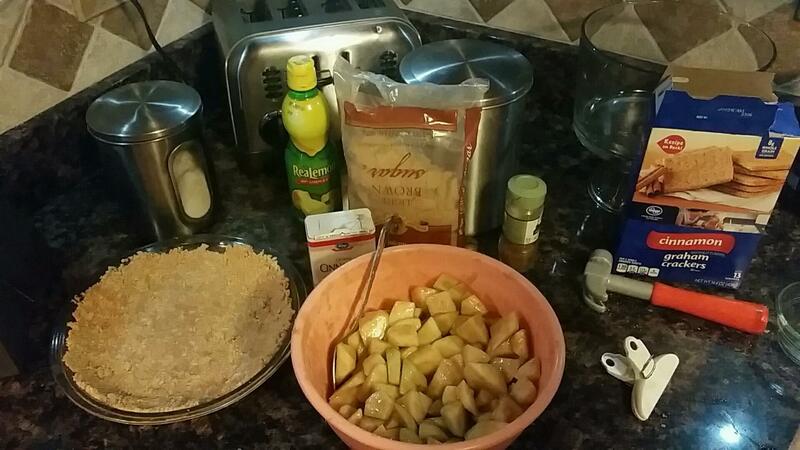 Mix all ingredients together and refrigerate for about a half hour before eating. It is great on salads or as a veggie dip. After a few days off from workouts, I did find it easier to make excuses why I didn’t need to start back up today. So without allowing myself to think too much I ran up to my room threw on my workout clothes and started. During warm ups I can hear the little voice in my head telling me I won’t make it through. By the time the actual workout starts I am over those thoughts. All you have to do is remember why you started and how you feel every time you have to start over. At Posh, we started carrying a fun new active wear line. I am so excited at the popularity of this line. I had to grab myself a sports bra for my own workouts. Let me tell you the material is amazing! They are so cute and so breathable. We offer them in 4 colors and they are available on our website for only $15!! Order our coral sports bra now! Check out Posh’s look for less! You can get both outfits at less than $100 each! Restrictions do apply. Our favorite trendy pant with our favorite basic tank and sandal on sale for only $75! Hurry there is a limited amount available. This outfit is on sale for $80. It includes our favorite trendy cropped hoodie with high wasted shorts. Don’t forget our cute fringe sandal and purple Sugarlips tank top! Hurry in to get it before its gone! 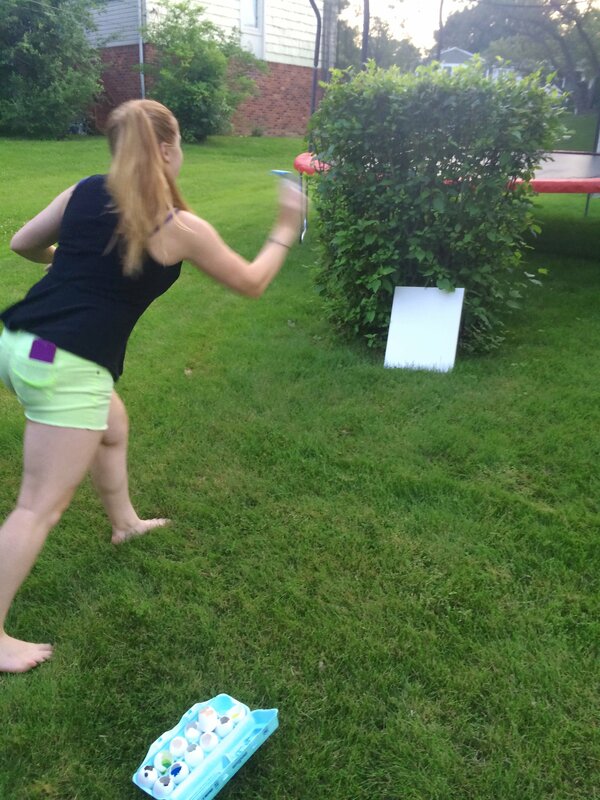 The 4th of July is one of my favorite summer holidays! Our family gets together every 4th of July up at my parents house and spends an entire weekend eating, drinking, boating, and swimming in the lake. 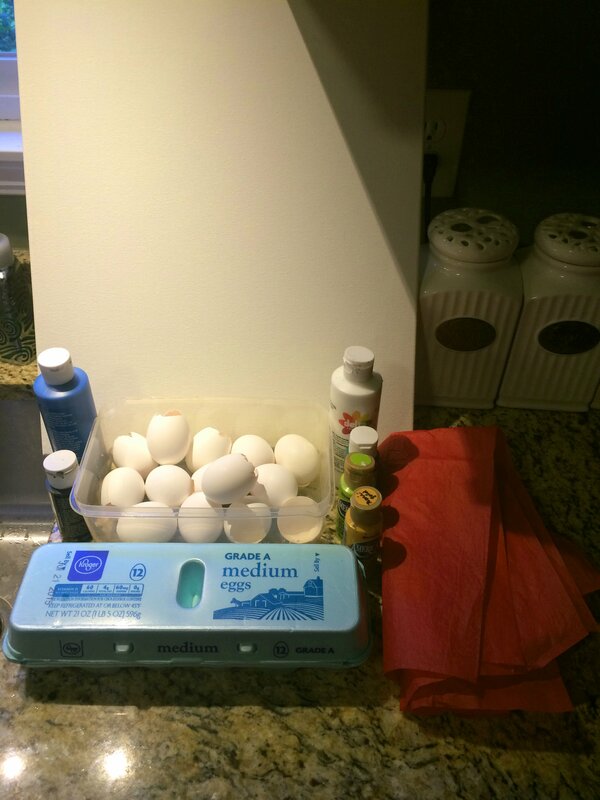 Darby, Tori & I wanted to share a fun post of ideas to celebrate the holiday. Read through to find out details on our 4th of July in-store sale! 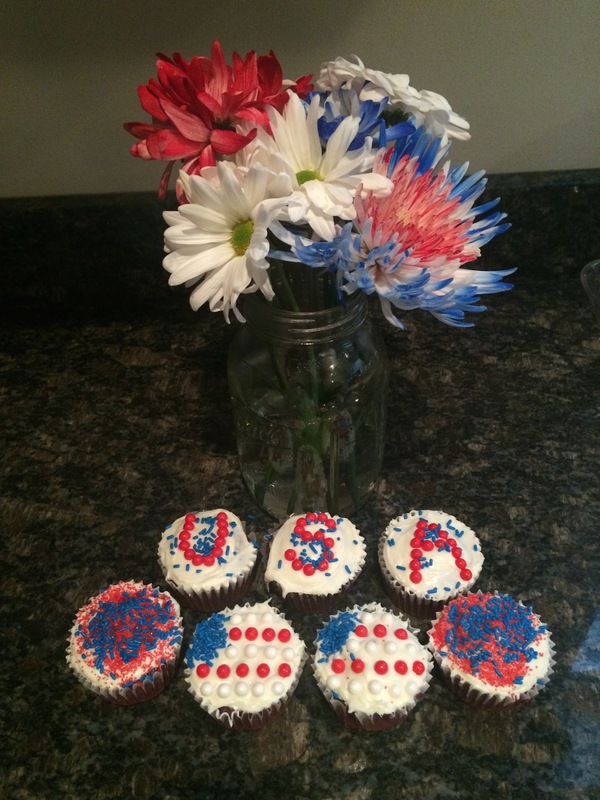 Tori wanted to share a fun red,white, & blue cupcake recipe. 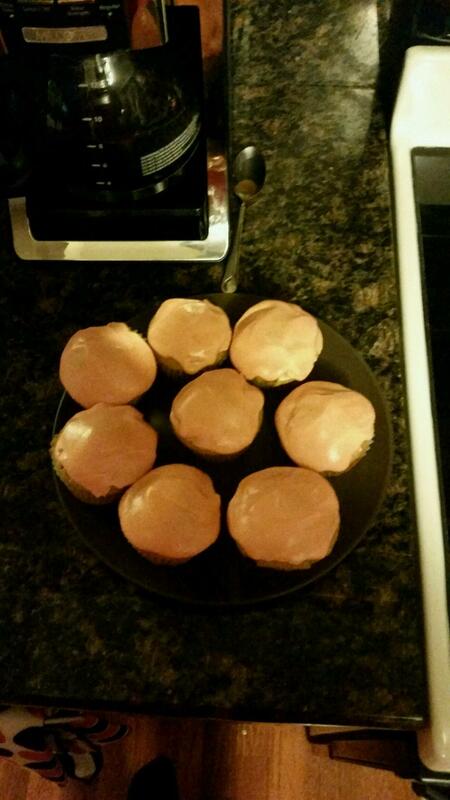 I personally tried one of the cupcakes and I swear they were so tasty! 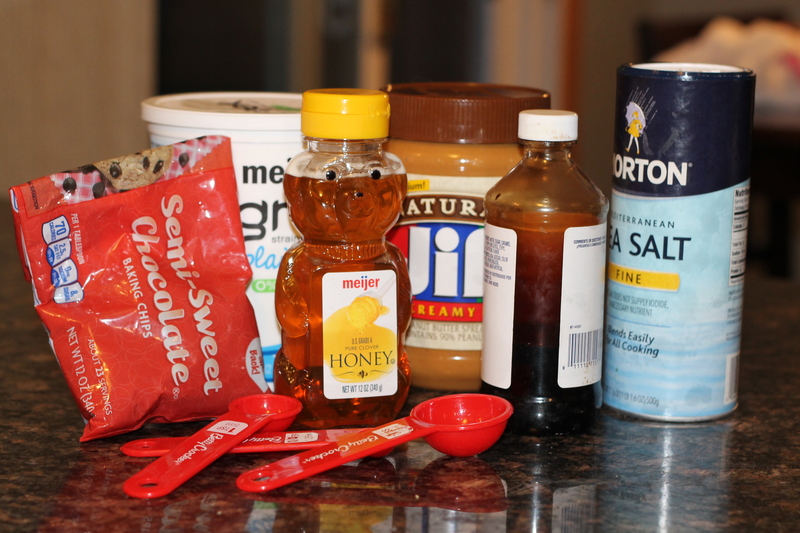 I decided to try this fun baking idea for the 4th of July. Its a great idea if you’re hosting or attending a party. 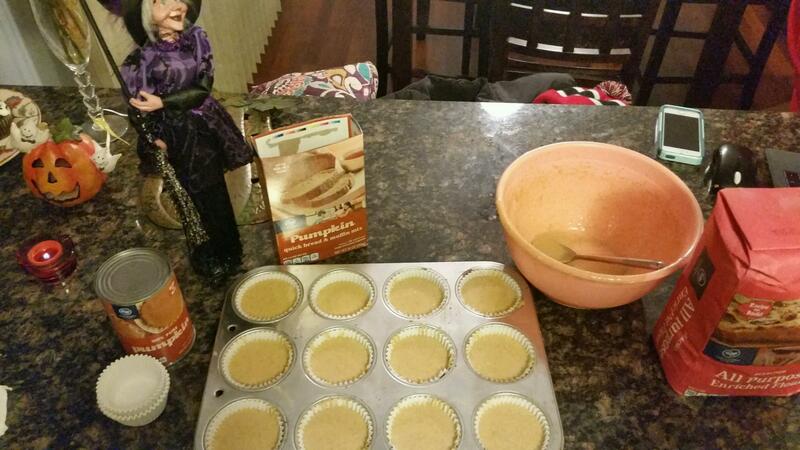 Everyone will love these festive cupcakes. 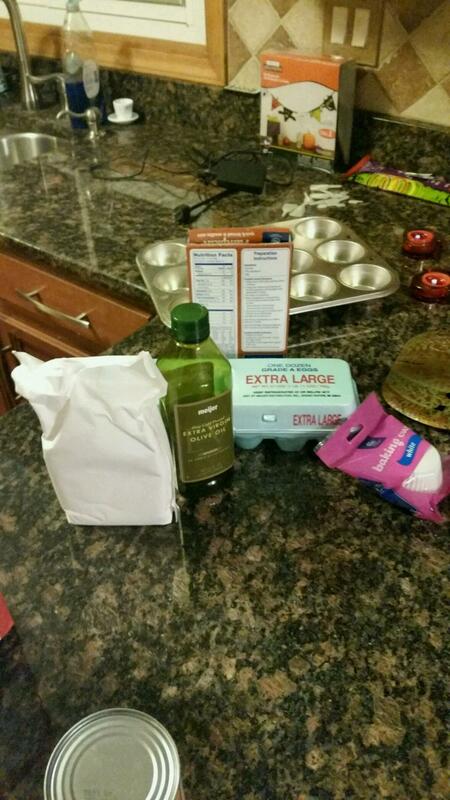 Follow the directions on the cake mix to make the cupcakes. After they are cooked let them cool for about 15 minutes. 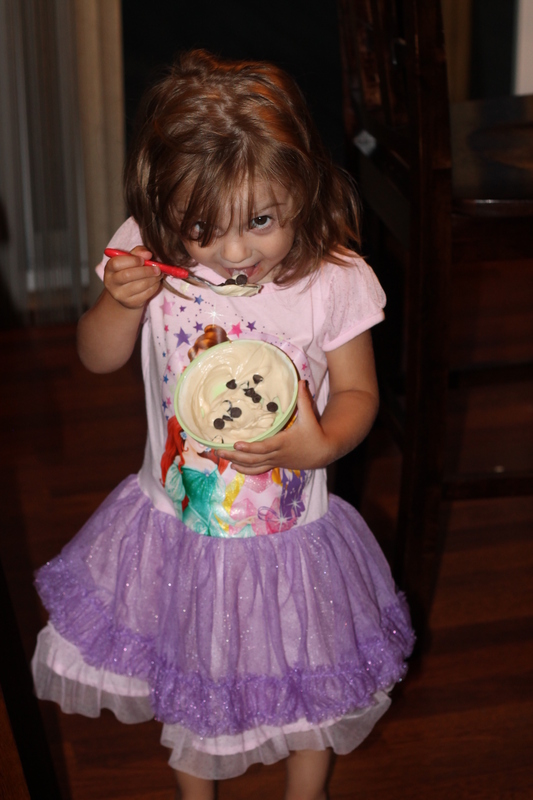 Than spread the frosting and design them using the pearls and sprinkles. 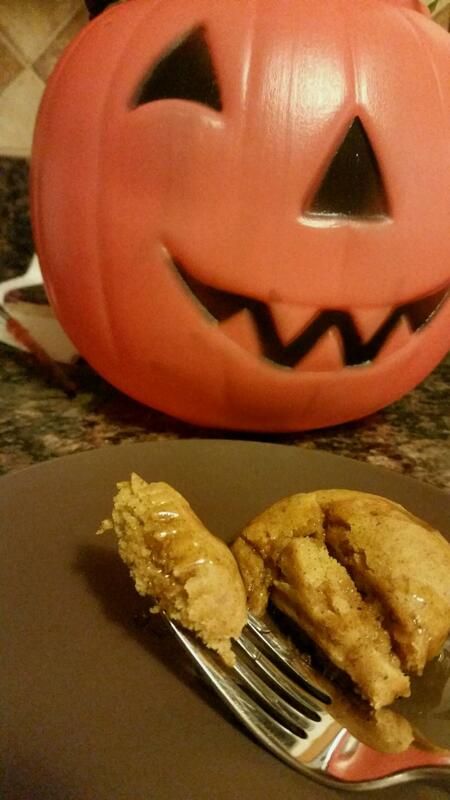 Super easy and they taste great. 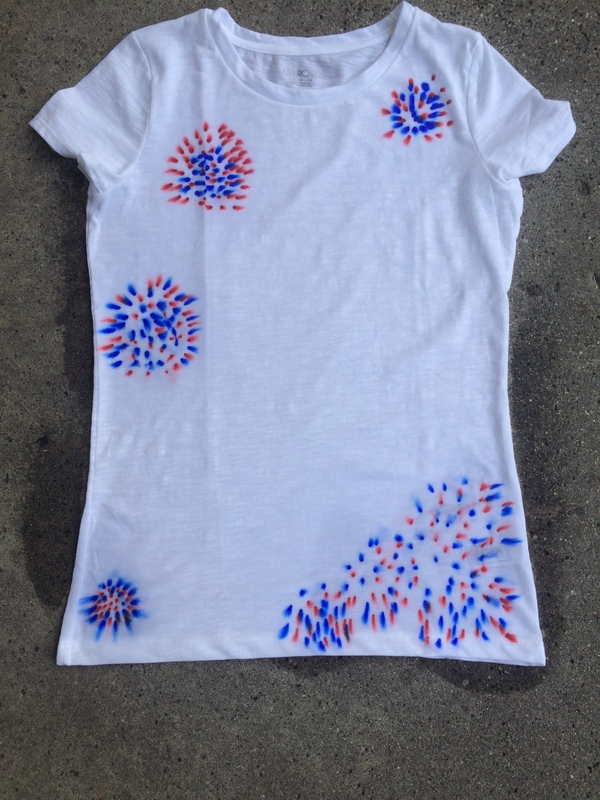 I chose to make a fun and easy t-shirt with a design that looks like fireworks for the 4th of July! 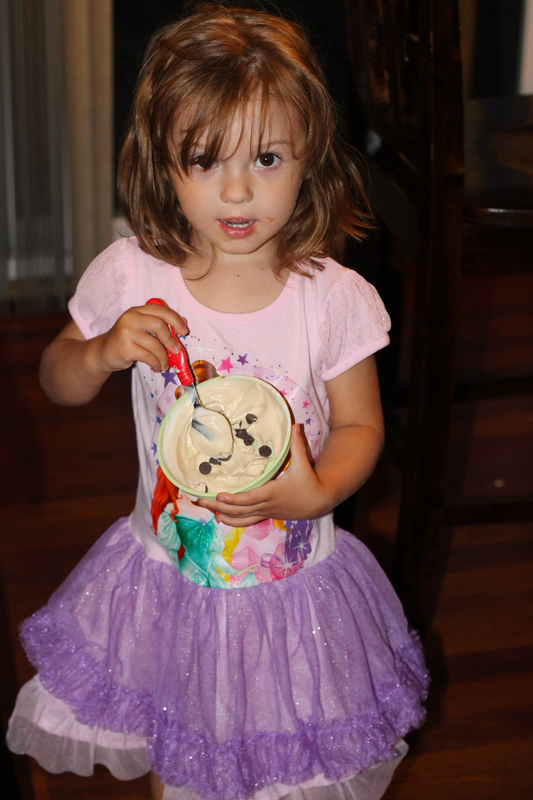 It is super easy and fun for the kids to make as well. 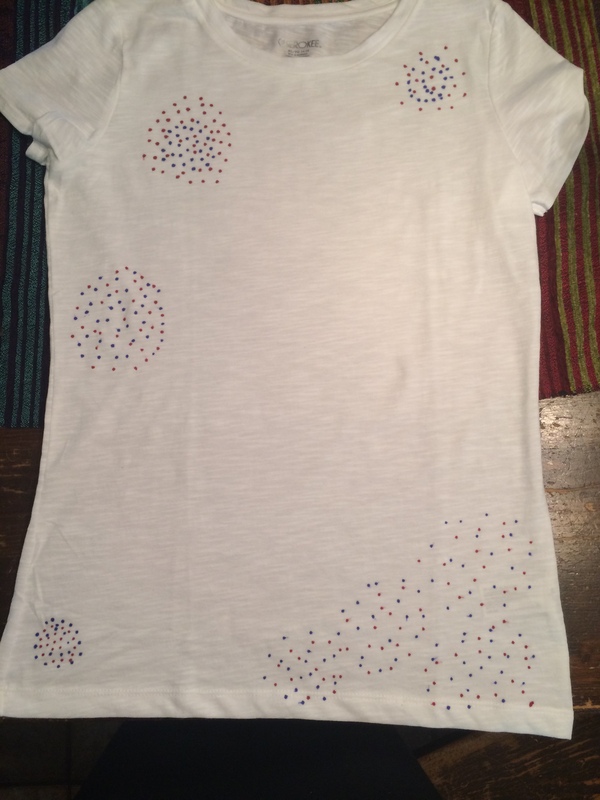 Step 1: Lay the t-shirt flat on a table and put dots in any shape you would like in any place on the t-shirt. You can do it on the whole shirt or in just some spots. I only put them in certain spots on the t-shirt. 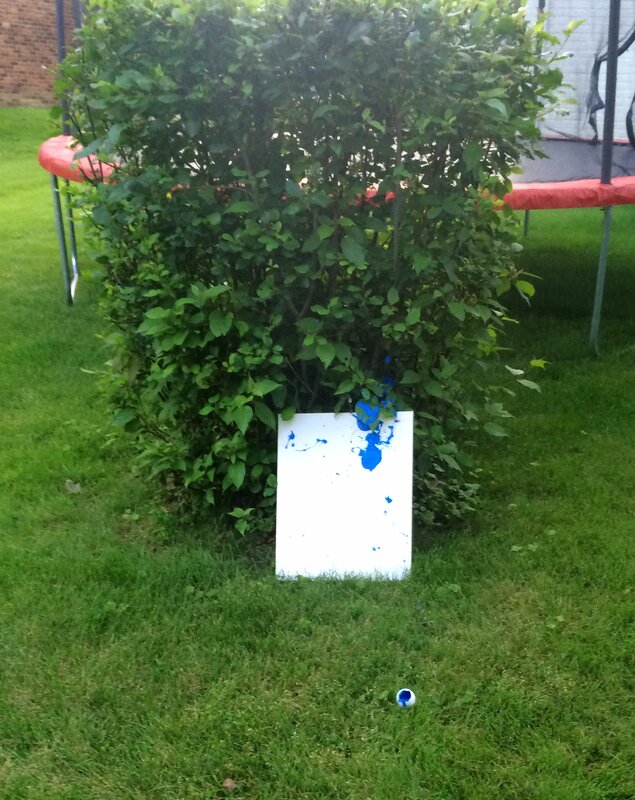 Step 2: After you finish putting the Sharpie on the t-shirt take it outside and lay it on the ground. If you don’t want the sharpie bleeding through to the other side of the shirt I would put a couple pieces of cardboard in between the front and back of the shirt. 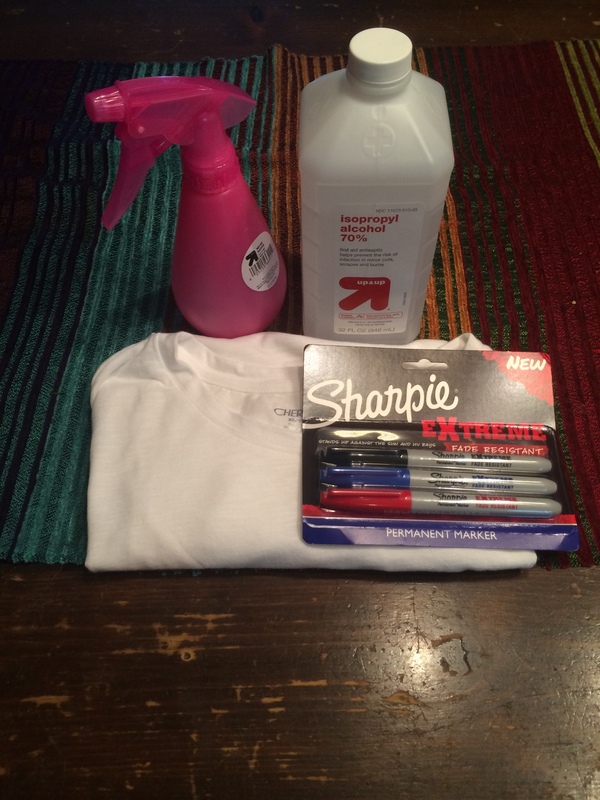 Put the rubbing alcohol in the spray bottle and spray it as a mist onto the shirt. The more you spray the more it will run. Spray a little and watch it to see it run and spray more if desired. After that let it dry and there you have got it! 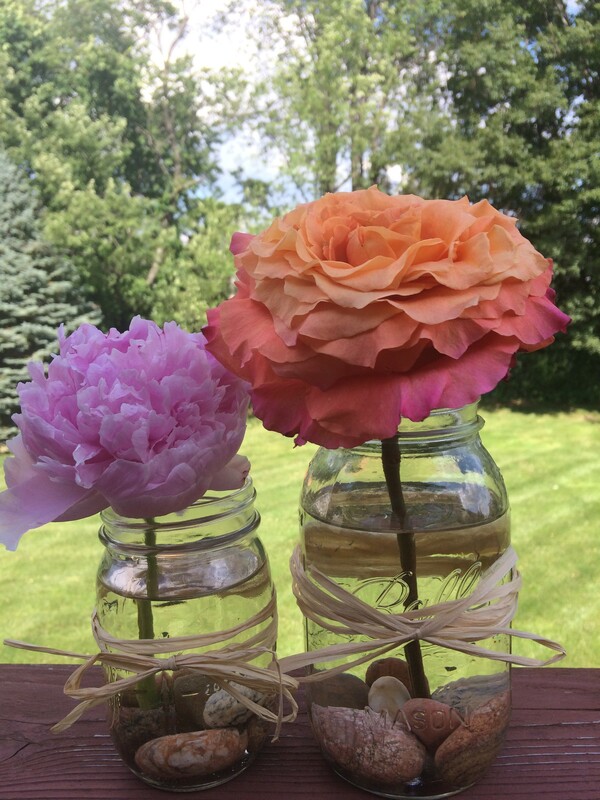 A fun and easy 4th of July craft that an age can do. Let’s finish up our 4th of July post with fun stylish outfits for the weekend! Each one of us chose our favorite from our new arrival collection. Click the outfit to find it on our website! Stop into Posh now thru Sunday, July 5th for our summer stock up sale! Get up to 30% OFF your entire purchase. Restrictions apply. 1 item receive 10% OFF. 2 items receive 15% OFF. 3 items receive 20% OFF. 4 items receive 25% OFF. 5 or more items receive 30% OFF. Valid in-store only. Valid thru 7/5/15 only. Must mention our blog at checkout. Not valid on previous purchases or combined with any other offer, sale, or loyalty card. Excludes sugarlips and lokai. We chose maxi dresses because they are so easy to throw on! The maxis are lightweight and perfect for a hot summer day. If it’s a cooler day (which can totally happen in Michigan) throw on a denim jacket and a scarf to warm up. Lastly, we chose our new navy and red tank. 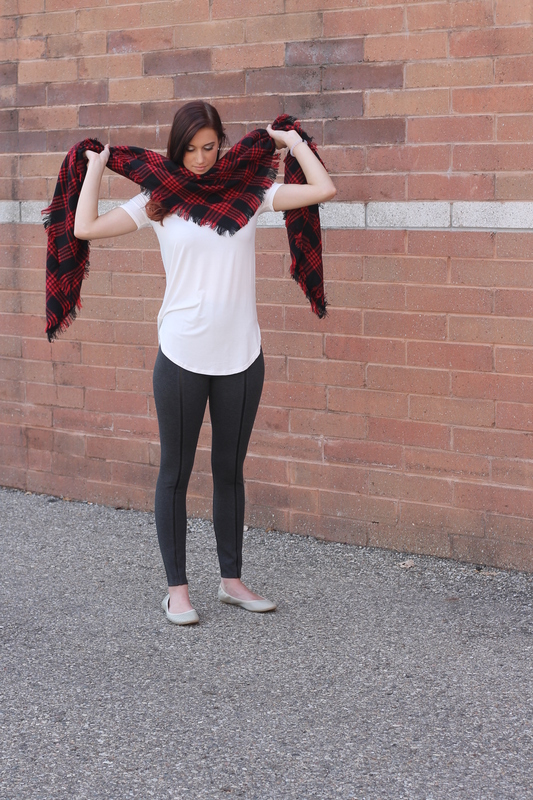 We threw it with white capri leggings but can easily pair with shorts or jeans! Summer is finally here! I think. We’ve had our ups and downs this season. But as the warm weather hits so do so many gorgeous prints, lightweight fabrics, and fun pieces to create the perfect stylish wardrobe. 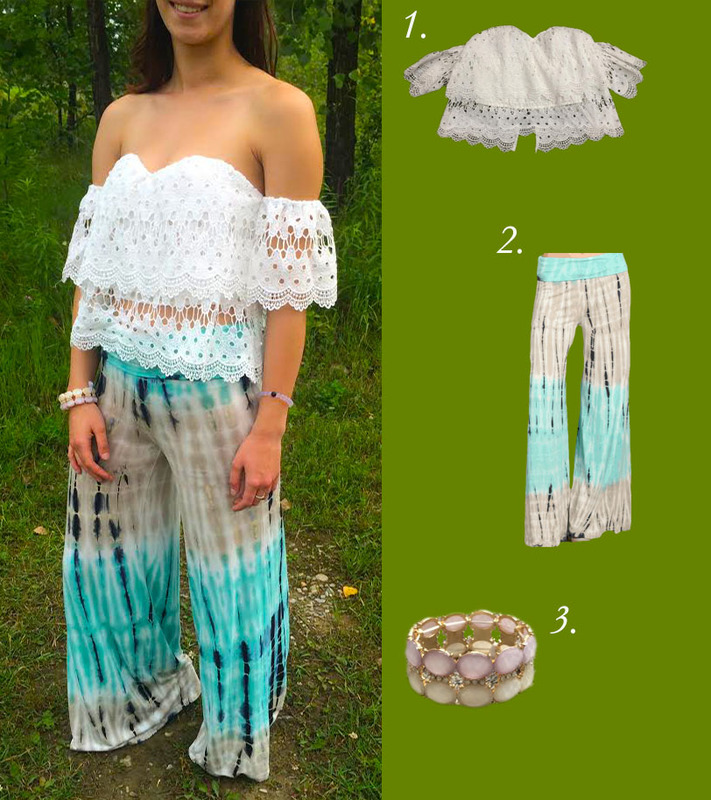 Today, I wanna highlight one of my absolute favorite trends, the palazzo pant. The palazzo pant is a super wide leg, loose fitting pant that was extremely popular back in the late 60’s thru the early 70’s and has made a major comeback in fashion. I know many of you will start off by saying, “I’m too short” or “They will make my legs look bigger.” Well throw those excuses right out the window! 😉 The reason why I absolutely adore this trend is not only because the options are so much fun but because the light flowy fabric hides insecurities and accentuates your waist for a super flattering look. The options are so versatile. The palazzo pants offer style and comfort! This style is easy to dress down for a day of shopping or drinks with friends or dress up for a night out with that special someone. See below for style inspiration and pop into Posh to see this look for yourself! 1. Lace eyelet top 2. Tye Dye Palazzo Pant 3. Bubble Bracelet is sold in-store only. Quantities are limited. 1. V-neck Tee 2. Tye Dye Palazzo Pant 3. Tuscan Fringe Sandal 4. Beaded necklace is sold in-store only. Quantities are limited. 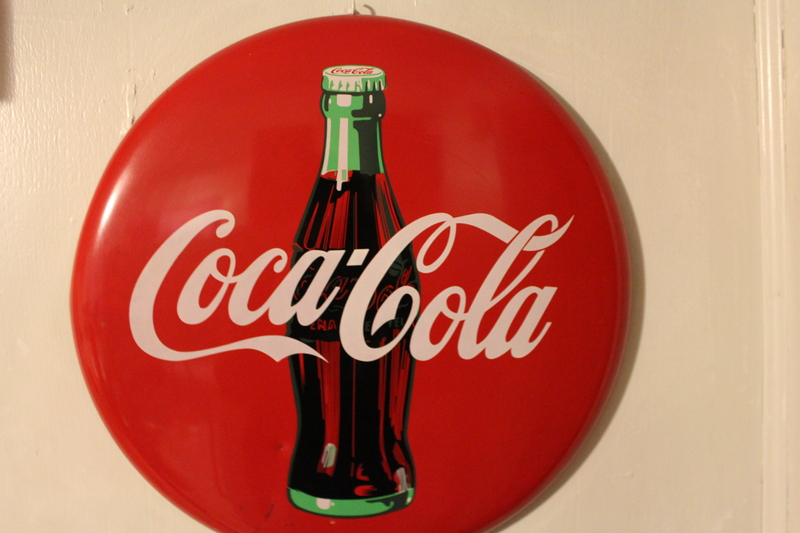 Anything that is not sold online, you can call our store at 248-960-8205 and order. Pop into Posh today and mention this blog at checkout for 10% OFF palazzo pants or any of the pieces in the above collections. Use code Palazzo at checkout on http://www.poshnovi.com and don’t forget if you live local you can choose the free in-store pick up option. Stop in and try this trend, I promise you won’t be disappointed! Happy Shopping!